To celebrate the recent opening of the Conrad Washington, DC hotel property, you can earn 5,000 Hilton Honors points when staying a minimum of three consecutive nights through Saturday, September 7, 2019. You can save 20 percent on room rates at Hilton hotel properties in 13 cities in Texas, Oklahoma, Colorado and Louisiana if you book your reservations only from Monday, April 8, 2019 through Friday, April 12, 2019 at 11:59 in the evening Eastern Daylight Time for stays completed from Thursday, April 11, 2019 through Monday, July 15, 2019. Could Chicago Become the Newest State in the United States? Chicago could become the newest state in the United States if one lawmaker has his way. Brad Halbrook — who is a Republican member of the Illinois House of Representatives — filed resolution HR0101 back on Thursday, February 7, 2019; and is urging the House of Representatives of the United States to allow the city of Chicago to secede from the state of Illinois and become its own state. A new award travel planning tool called PointsExplorer was recently released by Hilton; and its purpose is to assist members of the Hilton Honors frequent guest loyalty program to find hotel and resort properties at which they can stay in exchange for redeeming a specific number of points per night. You can save 20 percent on room rates at Hilton hotel properties in 13 cities and metropolitan areas in the western United States, Hawaii and Mexico City if you book your reservations only from Monday, March 11, 2019 through Friday, March 15, 2019 at 11:59 in the evening Eastern Standard Time for stays completed from Thursday, March 14, 2019 through Monday, July 15, 2019. A number of Hilton hotel properties around the world have recently opened — just in time for your winter 2019 getaway — and you can earn 1,000 bonus Hilton Honors points per night at some of them to celebrate their grand openings. 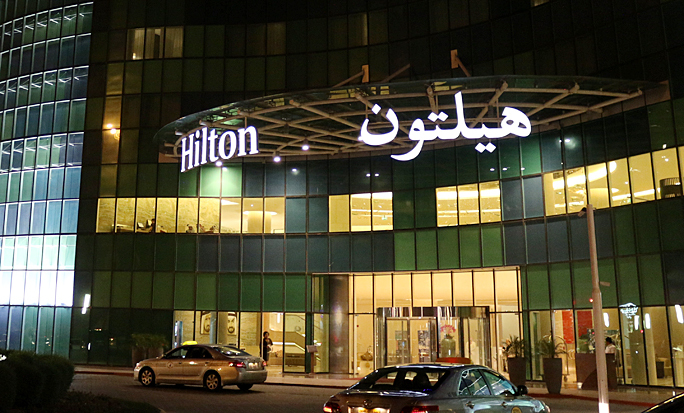 This guide to the Hilton hotel properties which have recently opened is listed in alphabetical order by the country in which they are located — all of which offer a grand opening bonus of 1,000 Hilton Honors points per night.